Time for an Insurance Checkup? With the first of the year just around the corner, it is a good time to review your health insurance plan. Many plans renew on January 1st, but even if you do not have a renewal, most deductibles start over for the calendar year. If you would like a free consultation to review your current plan and see if it is still the best option for you, call Julie or Judy at Aspen Insurance. As independent agents, we can compare several different insurance companies with many different plan options. All life changes, for example, getting married, buying a house, or having a baby, change your insurance needs. We can review your life, health and disability insurance to make sure that your assets are covered and that your family would be taken care of. We also have supplemental products available. These are available for both groups and individuals. This would include insurance covering such things as accident, vision, dental, hospital, cancer and life. With so many clients moving to high deductible health plans, a supplemental insurance policy may help offset some of the costs you may incur. For the customer service you deserve and a complimentary evaluation of your insurance needs, call Julie or Judy at 257-4864. Have you shopped for health insurance on the internet? Do you think you are getting a better rate by doing this? Think again. With so many people now using internet services, and online shopping, many are getting insurance quotes through the internet. What most people do not realize is that the cost is the same whether they shop on the internet or through our office. When purchasing your health insurance through us, we will review all options available so that you make an informed decision. Once you have purchased a policy through us, the service does not stop there. If you have a premium, benefit or claim question we are here to help you resolve any problems and ensure that you understand your explanation of benefits. This is in contrast to what would happen if you purchase a policy online and have a question. Who are you going to call? You can call the insurance company and go through the headache of voice menus or being put on hold for what seems an eternity. You can transfer that headache to us and let us resolve those questions for you. Aspen Insurance is located at 1600 Highway 35 in Kalispell. Call 257-4864 to ask about scheduling a free consultation. You’ve got nothing to lose and quite a bit to gain. Ever call your insurance agent or insurance company, only to find yourself in a maze of voice mail menus? Or you leave a message and don’t receive a return call? If this describes your frustration with insurance, try calling Aspen Insurance. At Aspen Insurance we pride ourselves on customer service. We see ourselves as a liaison between our clients and the insurance company. We make every attempt to answer questions or resolve any problems with the insurance company for our clients. Ever have a large claim? Have you received so many doctor/hospital bills and Explanation of Benefits (EOBs) that you are confused on who you actually owe money to? A claims audit is just one of the services Aspen Insurance offers their clients. We can sift through your EOBs, create a spreadsheet and spell out exactly how your claim was processed, make sure it was processed correctly and tell you to the penny who you owe money to. Ever shopped for new health insurance? Aspen Insurance will compare your options to your current plan. We will point out differences in various health insurance plans and help you choose the plan that best fits your needs. Aspen Insurance is an independent agency, so we have many options to choose from. For an honest evaluation of your health insurance needs, call Julie or Judy at Aspen Insurance. is a new independent agency in the Flathead Valley, co-owned by Julie Reid and Judy Sharpe. Aspen Insurance offers a variety of products and companies for both individual and group insurance. Julie and Judy have 20 years of combined experience with health, life, disability and supplemental insurance. Julie is a native Montanan born and raised in Missoula. She relocated to the Flathead Valley in 1991. She held positions with various companies in the valley until she began her insurance career in 2000. She earned her producer’s license the same year. She began as a customer service representative and soon found her niche in sales. 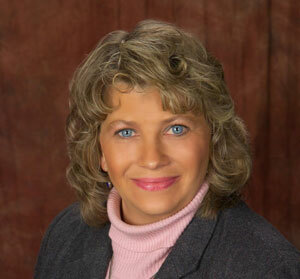 Julie has specialized in individual and group health insurance sales and customer service. Judy moved from Michigan to Montana in 1996. She began her insurance career and earned her producer’s license in 1997. She also started as a customer service representative. She then specialized in life, disability and supplemental products as well as being an office and business manager. When it comes to selling insurance, their philosophy is to make sure the client understands all of the options available to ensure that they choose the right product to fit their needs. They also believe that their job doesn’t stop once a product is sold. They offer their clients superior local customer service. They will help the client with any questions they may have about their policy and are ready to help resolve any problems that might arise. Julie resides in Kalispell with her husband and two children. Julie is very active in the Evergreen Boy Scout Troop and has been the scout master for the past three years. Julie enjoys camping, fishing and all outdoor activities. She enjoys spending quality time with her family. Judy resides in Whitefish. She has been married to her husband for 24 years and they have three children. Her hobbies include, bowling, reading, cross stitch, knitting and playing cards on the internet. To discuss your life and health insurance needs, stop by Aspen Insurance, located at 1600 Hwy 35, Kalispell, or call 257-4864.